* Approximately 500 - 700 high resolution photographs with unlimited reproduction rights. * All of the photos you receive are fully retouched. * Private on-line viewing galleries to share with your loved ones. 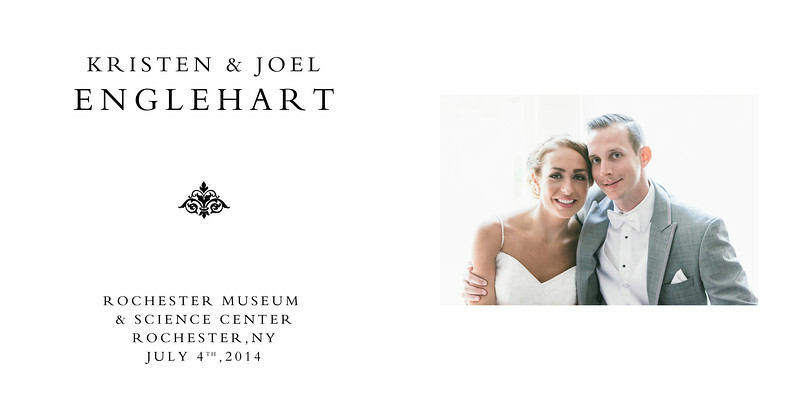 Free high resolution digital downloads are made available to all your guests. * Unlimited pre-wedding support. Call/email me anytime. A Reservation Fee of $1000 is required to secure your wedding date. This fee is non-refundable. 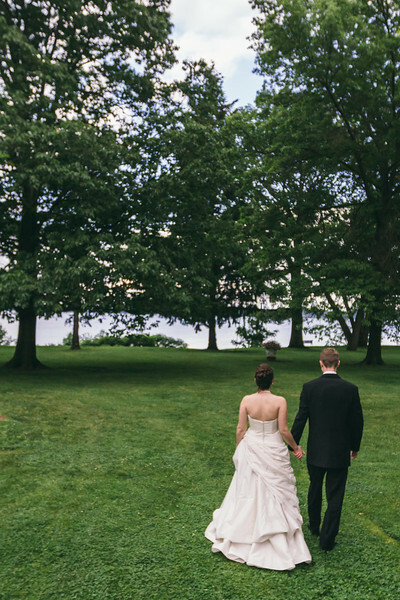 There is no travel fee for weddings in Buffalo, Syracuse, Geneva, Skaneateles or the general Finger Lakes region. $1500 flat fee for the New York City area. Travel beyond this region will be quoted by Fernando depending on the location. Upgrade the entire album to 12" x 12" for $500. 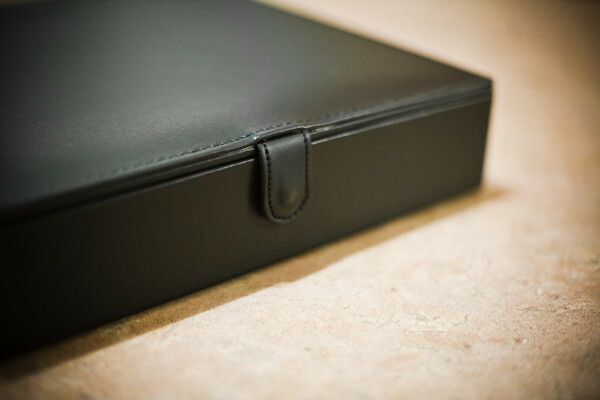 These 8x8 Black linen covered albums make wonderful gifts for family members or friends. 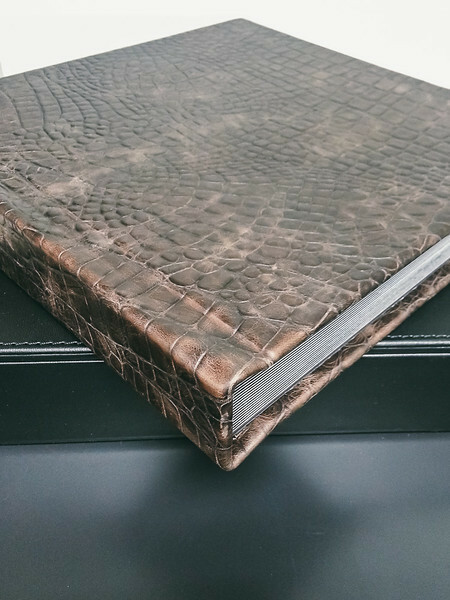 They are sleek coffee table styled books and are exact replicas of your wedding album. "Fernando is wonderful to work with. Extremely professional, flexible, responsive and involves clients in the design process. Fernando enjoys his work and it shows in his demeanor as well as his gorgeous photographs! HIGHLY RECOMMEND!!!" So what happens after the wedding is photographed? Can you explain your over all process? 1. 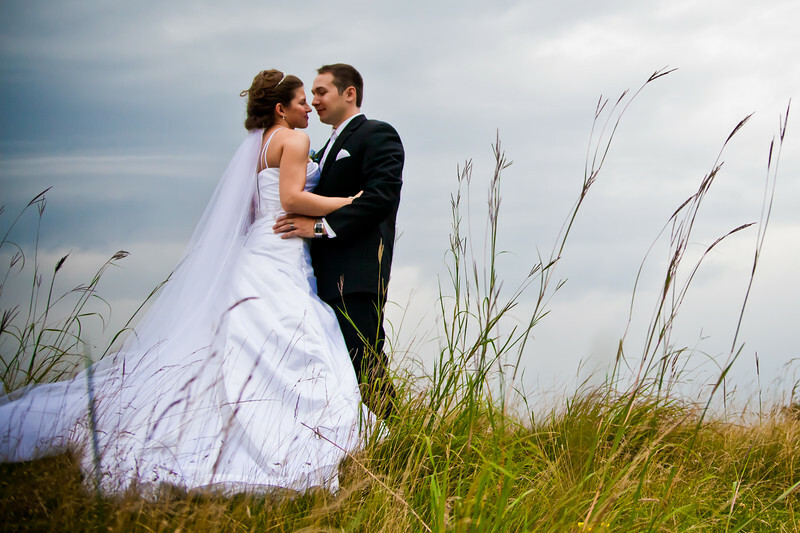 Once the wedding is complete, I personally review all of your photographs and select 500-700 of the very best ones. About 8 weeks later I create a private on-line gallery that includes all of the finished photographs. At that time you will be provided a link to download all of the high resolution photos. 2. Once they are released to you, you can share them with your family and friends by giving them the link to your on-line gallery. Guests can also order prints and download photos if they wish. 3. If you have opted for an album, you will then select your favorite photos from the final set of photographs. 4. Once I receive your selections, I then use them to design your album. Once the design is done, I will present it to you via an on-line gallery. 5. 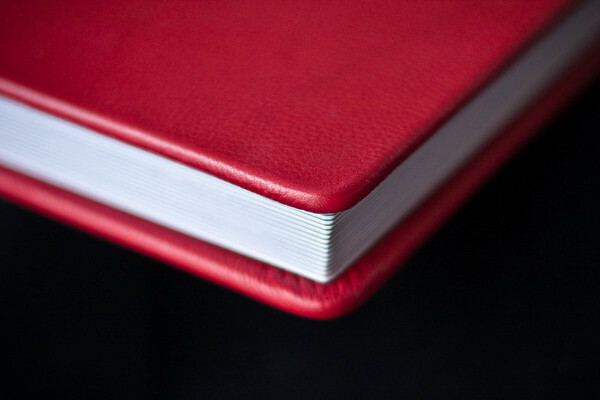 Once you approve the design and select your cover material, the album is created for you. If you live outside of Rochester, I will ship your album directly to you at no charge. TIP: Planning a wedding can be stressful. But on the wedding day, try not to get caught up in the details. Assign someone in your wedding party to help with any issues, so you can enjoy your day. "I felt so many wonderful emotions and Fernando was able to capture those moments. When I look at my photos I go right back to that day and become overjoyed all over again. These moments in time should be honored with precision and care. Fernando was able to provide such incredible service and I am just thrilled with the results. I have very high standards and Fernando delivered." 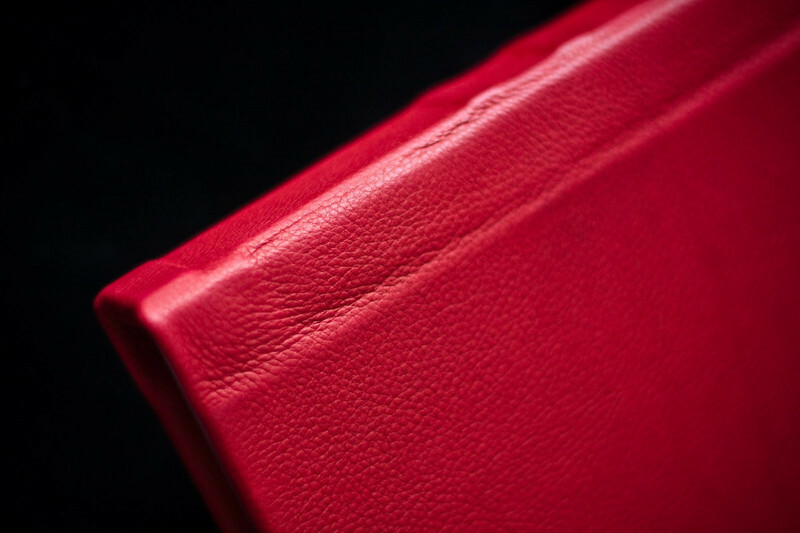 Beautiful leather combined with premium binding makes these albums a luxurious choice. 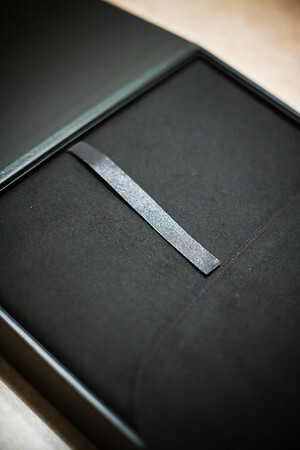 A gorgeous leather stitched case is also included with your album. 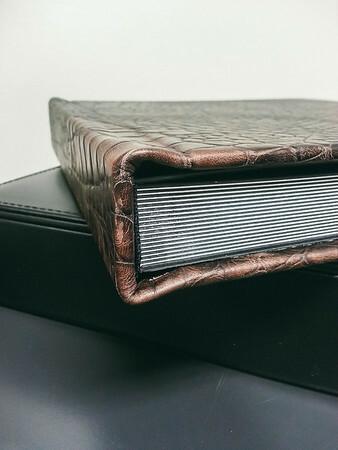 Various leather colors and prints allow you to create the desired look of your album. 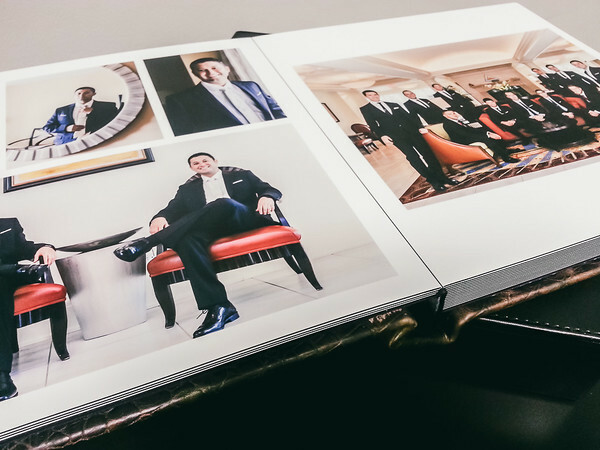 Each album features fully retouched images from your collection, designed into a visual story that documents the time with your loved ones who came to celebrate with you. Using a clean artistic design style, I partner with you to design your album using your favorite photographs from your day. 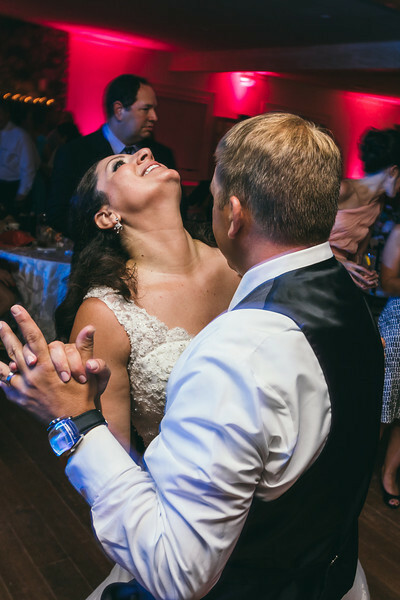 Feel free to review one of my wedding albums below. Simply click on the arrows to move through the album. "Pictures are so important, which is why my husband and I really wanted to invest in a great photographer. When my husband and I met with Fernando we instantly knew he was the one. Fernando has a great personality and we felt so comfortable with him from the start! The day of our wedding was amazing. He captured all of our special moments and came up with some great ideas for pictures! Our album was ready within just a few months after our wedding.Fernando delivered the album himself and went through it with us. It is breathtaking and everyone who sees it says how beautiful our pictures are and what a great photographer we had. Thanks Fernando, you’re the best!" - Stefanie & Joe, Rochester, NY. I partner with you to create your perfect wedding story. 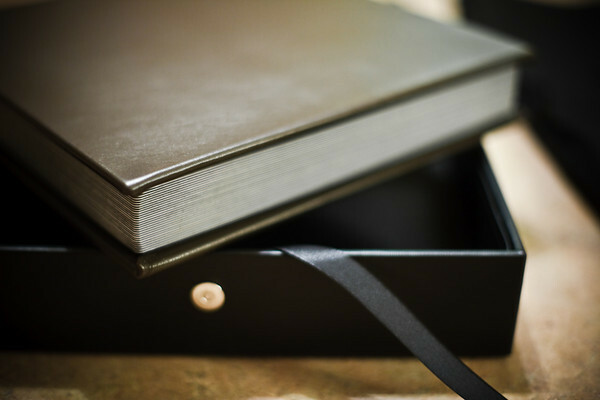 A precious heirloom for you and your family. Event Photography in Rochester, NY. Monroe County, 14620.